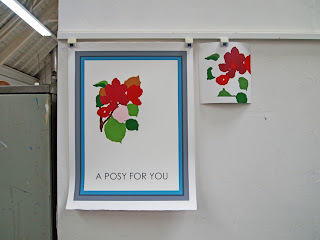 Tonight sees both the opening of my solo exhibition at Peacock Visual Arts and the launch of a newly commissioned print called A Posy For You. 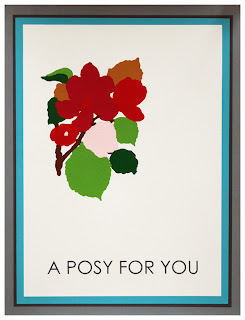 The new print is the sister print of Happy, All Smiles, a work also commissioned by Peacock and recently exhibited at the Royal Academy Summer Exhibition. A Posy For You is an eleven colour screen print on Magnani Litho 352 350 gsm paper, an edition of 40 plus 5 AP's and is 65.5 x 50 cm in size. 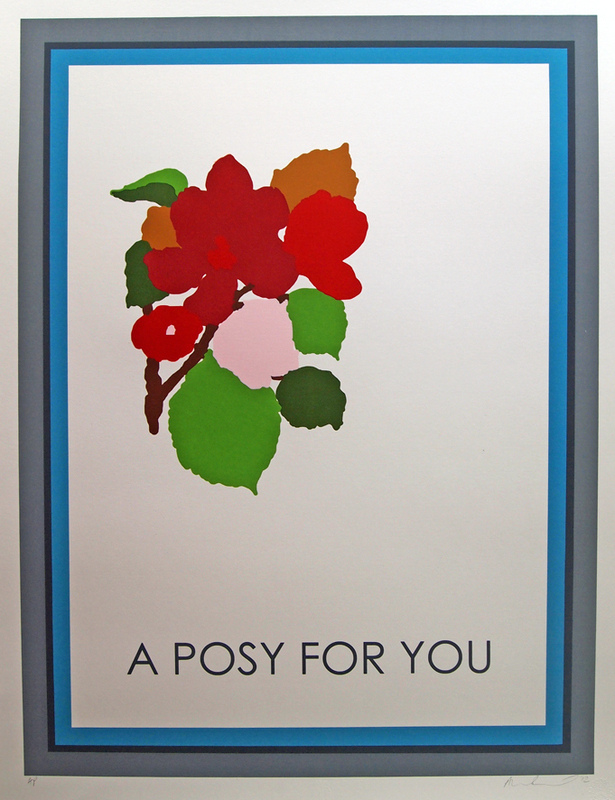 A proof will be on display this evening but the edition will be completed and signed in the next couple of weeks.